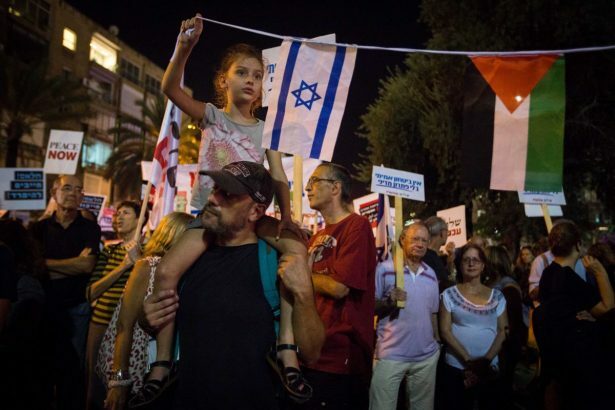 Israelis attend a Peace Now march from Rabin square to the IDF headquarters in Tel Aviv, against what they saw as the Israeli governments unwillingness to reach a final-status solution with the Palestinians and bring an end to the violence, 24 October 2015. Photo by Miriam Alster. FLASH90. In this cautiously hopeful response to Hussein Agha’s Fathom interview, Israeli Edward Rettig argues that his analysis of the failure of the Oslo process may be a sign that ‘perhaps we are in motion, moving our understandings of the conflict past blind adherence to either “the anti-colonialist paradigm”, or the “classic Zionist paradigm”’. Both, claims Rettig, have now accumulated so many anomalies that they are, so to speak, disintegrating paradigms. He proposes that a new paradigm is emerging, more attuned to local and regional (not European) realities and dysfunctions, and which may in time provide the basis for a breakthrough in negotiations. Rettig represented the American Jewish Committee (AJC) in Jerusalem, chaired Rabbis for Human Rights and now sits on the Board of IsraAID, the Israeli nonprofit that engages in emergency relief and development in crisis spots around the world. (The opinions expressed in this article are the responsibility of the author and not of any of these organisations.) Download a PDF version here. Reading Alan Johnson’s recent Fathom interview with Hussein Agha, an observer of the Israel/Palestine conflict may be forgiven for feeling a glimmer of optimism. Finally, something seems in motion. A Lebanese, Agha is a leading Arab intellectual, a senior associate at St. Anthony’s College, Oxford and a longstanding diplomat for the Palestine Liberation Organisation (PLO). Professor Agha chose to share his stinging critique of the Oslo peace process in a British Zionist publication – albeit one that publishes voices from across the political spectrum – in conversation with its editor. The medium is a clear message. Agha argues that Palestinians and Israelis have adopted a strategy of ignoring what he calls ‘the 1948 file’ despite the Palestinian refugees and their descendants being, in his view, the core of the conflict. Until the sides address that core satisfactorily in the eyes of the refugee community, we will know no peace. Hence the failure of Oslo. One may agree or disagree with his analysis. (I think it is accurate as a diagnosis of Oslo’s debacle, but flawed, for reasons I will set out.) But there can be no arguing his factual accuracy about Oslo: participants on all sides did indeed take pride in the approach to the ‘48 file’ that Agha contends has been deadly to the process. This is not a new critique of Oslo, not even from Prof. Agha. The participants at Camp David reported that Yasser Arafat spoke about facing assassination were he to compromise over ‘return’. Agha’s famous defense of Arafat’s conduct at Camp David (written with Robert Malley), blamed American and Israeli leaders for not appreciating that fact, so boxing Arafat into a corner. Moving forward from this diagnosis, Agha challenges us to new thinking. Researchers must use paradigms with integrity to arrive at a deeper understanding of the phenomena they examine. And paradigms must be based on evidence, even at the expense of comfortable notions, including religious or ideological verities. It is, said Kuhn, this inherent openness to discomforting new ideas that explains the leaps in scientific knowledge in the modern era. 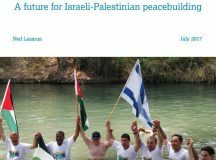 The notion of paradigms being driven by evidence toward new, if uncomfortable, understandings makes the concept very useful for those involved in Israel-Palestine peacemaking, especially when the accepted wisdom on all sides, has failed at peacemaking for decades. It is hard to tell whether Agha recognises any fundamental justice on the side of the Jews and Zionism. I suspect not. Underlying his approach is a paradigm which, even when not openly expressed, is never far from the surface, and which has guided pro-Palestinian thinkers for decades. We might call it the ‘anti-colonialist paradigm’. Developed during the period of decolonisation, and from long observation of the ugly facts of European colonisation and colonialism in the Third World, and of the process of state-creation and state-building that characterised the years after World War Two. For many anti-colonialists, it still serves as an underlying consensus on evaluating events as disparate as the liberation of Algeria, the Vietnam War, and the emergence of the independent states of Africa. The anti-colonialist paradigm explains the Israel-Palestine conflict to the satisfaction of many people, and not only dogmatists and extremists. 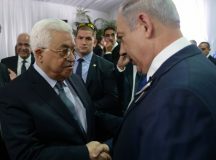 Even Salam Fayyad, the former Palestinian prime minister, who is ready to reach an accommodation with the Zionist project, tends to think within it. These more subtle and moderate thinkers, such as Fayyad, develop the paradigm in more nuanced ways. Their version says: ‘There may be humanitarian considerations that drive us to respect some of the demands of the Jews today, but Israel’s founding in 1948 was fundamentally wrong.’ The establishment of Israel is not understood as an early example of decolonisation, like India, despite the fact that British overlords were driven out of both places at almost the same time. Instead, believers in the anti-colonialist paradigm see what happened in Israel-Palestine as Europeans landing in alien territory and seeking to drive out the aboriginal peoples. But, the moderate version adds, ‘However, as life is full of compromises, Israel is not going away, and peace is a goal worth achieving. An independent Palestine, even if only on a small part of the Land, will allow Palestinians to find practical solutions to problems that have caused so much anguish.’ This kind of moderate ‘anti-colonialist’ supports the two-state solution pragmatically, but does not think it is a just resolution of ‘the 1948 file’. Agha reflects the anti-colonialist paradigm when he suggests that only the turnaround of the refugees’ situation will allow for resolution. A re-examination at the paradigmatic level would require an openness to the admittedly uncomfortable possibility that there may be considerations of justice – not merely pragmatism – that peacemakers might have to weigh against the justice that supports recognition of the needs of the Palestinian refugees and their descendants. Failure to wrestle with the possibility that there are elements of genuine justice that support the Zionists is an ongoing anomaly of the way many Palestinians and their supporters understand the conflict. 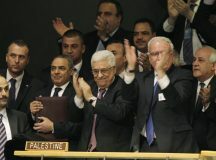 The collapse of the Oslo Process shows that the anti-colonialist paradigm is no longer sustainable, at least as it applies to the Israel/Palestine conflict. It requires either adaptation or replacement so that we can arrive at new understandings that are appreciative of just how complicated must be our understanding of justice in this conflict. Such an adaptation could offer us new insights into how to bring peace. What of the Israeli, Zionist side? The ‘classic Zionist paradigm’ saw the world mainly through the lens of the genuine emergency of worldwide Jewry in the first half of the twentieth century. Theodore Herzl realised that the ‘Diaspora political paradigm,’ by which Jews had lived since the fall of Jerusalem to the Romans, was losing viability and the results were likely to be dire. Zionists developed a new paradigm: the Jews would save themselves by returning to their homeland. In practical terms, and making a long, complicated story short, the classic Zionist paradigm centered on the purchase of land, immigration, settlement, and the wooing of international support for the building of a society and later a state. 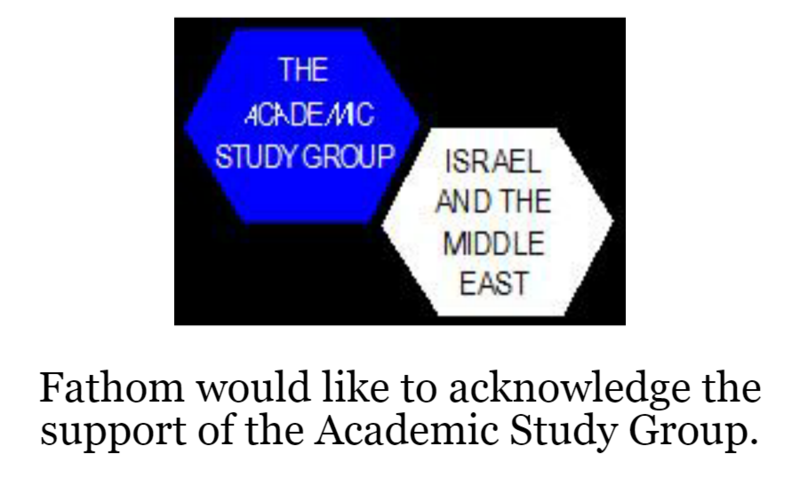 Because of the dire (and tragically accurate) Zionist analysis, those who held it tended to deal with international developments only as they impacted those foci. For the period before and during the 1948 War the classic Zionist paradigm was viable, even triumphant, although it was realised ten years too late to save the victims of the Holocaust. However, by the 1956 Sinai Campaign, it had itself started to show significant conceptual cracks. David Ben-Gurion was slow to internalise the nascent anti-colonialist wave and how widespread would be its global influence. There is no question that Egyptian conduct in Gaza was provocative, often murderously violent, and there was a strong case to support Israeli military action in 1956. However, when the dust settled, Israel had achieved only a small portion of its articulated goals, gaining about a decade of relative truce. Perhaps more importantly, by collaborating with France and Britain, it had scored an own-goal, losing a lot of its standing in the Third World and in much of Europe. In the 1960s, Israel expanded its foreign assistance programs in the Third World to a notable degree, the only developing country to have a foreign development aid program. However, we also saw a 1973 wave of African States cutting off relations at the height of the Yom Kippur War and jumping on the bandwagon when the Soviets and Arabs pushed the infamous ‘Zionism is Racism’ resolution through the UN General Assembly in 1975. Then, with the rise of the first Likud government in 1977, a new political elite revised the classic Zionist paradigm. Oddly, considering its profound influence on the conflict, this revision – which involves an essential change in how most Israeli Jews now see the conflict – has drawn little international discussion. At the heart of the revision is the growing awareness of the experience of ethnic oppression of the Jews in the Muslim world and the growing influence of the ethnically cleansed Jews of the Muslim world and their descendants in Israeli society, culture and politics. Today, almost three-quarters of the Jewish population is Israel-born, and more and more young Jewish Israelis ‘intermarry’ across the Eastern-Western Jewish divide, ensuring that a growing percentage, probably more than a majority, now trace at least part of their origins to the wider Muslim-dominated region. Simply put, Israel has become much more attuned to its neighborhood as it has incorporated these migrants and their descendants. Much of the population that absorbed these migrants consisted of Holocaust survivors and other refugees from Europe, which contributed indirectly to the widespread but shallow anti-Zionist idea that ‘Europeans’ invaded Palestine. But today, at the age of 70, Israel is much less Europe-centered and not only in music, food, literature, popular culture, and so on but also in politics and foreign policy. This emergent Israeli paradigm is also the result of regional developments since the 1940s. From the Atlantic coast of North Africa, eastward to the Shiite provinces of the Persian Gulf, a group of countries form one of the great contemporary civilisations. Sunni Muslim Arabs overwhelmingly dominate the region demographically and politically. Unfortunately, Sunni Muslim Arab society faces a deep crisis as it struggles to reconcile modernity with its traditional values and culture, a predicament that lies beyond the bounds of this paper. A common symptom of the crisis is that virtually all of the non-Sunni, or non-Arab, or non-Muslim populations in the region – Copts, Maronites, Assyrians, Jews, Kurds, Yazidis, Shiites, and so forth – suffer severely. Today, the situation of these minorities provides an essential framework in which one can reinterpret Arab behavior in 1948. We might call this new understanding the ‘hegemonic majority paradigm’. It can shape our perception of events such as the Syrian civil war (where the pro-Assad coalition is glued together by fear of majority Sunni ascendancy), the rise of ISIS (an expression of Sunni political extremism), and, of course, the current dynamics between Israelis and Palestinians (who are ethno-religiously overwhelmingly Sunni Muslim Arabs). 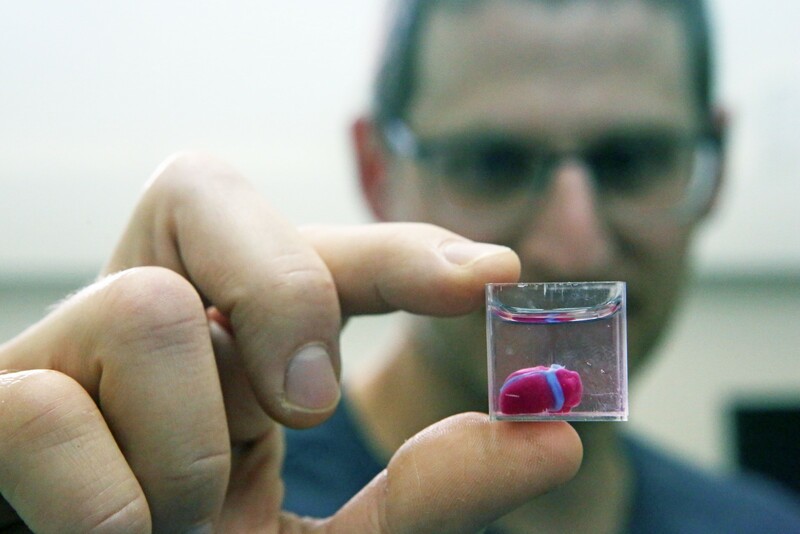 This emerging Jewish Israeli paradigm turns many ‘anti-colonialist’ assumptions upside down. Of all the minorities in the region, only the Jews have prospered since the end of World War Two. We did this despite the murder of large numbers of us, the seizure or abandonment of much of our property, the waging of wars against us, the ongoing reverberations of the Holocaust, and the anti-Israel political clout of the Arab peoples and the Soviet Bloc. The new paradigm says that what allowed for this success was the fact of withdrawal (sometimes willingly, often through outright expulsion), from the Sunni Muslim Arab hegemonically dominated areas, to congregate with other Jews from other parts of the world in the land of our shared history. Professor Agha’s interview may have opened up a discussion that can lead to a deeper understanding of the conflict. Recognising that the paradigms governing the thinking of people on all sides are disintegrating, because the anomalies are just too significant, may now be vital if we are to develop a dialogue that can break out of the frozen thinking on the peace process that Professor Agha abhors. That it is possible to identify anomalies and seek explanations is demonstrated by Agha’s interview. A supporter of Fatah for decades, and an interlocutor with the Israeli Peace camp, Agha is willing to entertain the notion that there may be potential for peacemaking among the Israeli Right and Hamas. Whether this is a correct assessment is not as important as the fact that Agha is daring to respond to the growing obsolescence of the paradigms on which the sides based the Oslo process. He appears to recognise that it is time to replace or drastically revise those paradigms before we try to make our way again toward peace through negotiations. For example, internalising the ‘hegemonic majority paradigm’ draws the broader Sunni Muslim Arab world into the conversation. It suggests that the Sunni Muslim Arab majority can move peace forward if it takes responsibility for the costs of its dysfunctions. It places the history of the Afro-Asian-origin segment of the Israeli population in a position to impact the peace process in positive ways. Today, higher numbers of Israelis see the world through the lens of the experience of their parents, and grandparents, as Jews in the vast Muslim regions. Is there a meeting point, here? Professor Agha identified the rights of Palestinian refugees and their descendants as the core of the conflict, based on the ‘anti-colonialist paradigm’. In parallel, the revised Israeli paradigm suggests that recognition of the subjugation and the ethnic cleansing of Jews from Sunni Muslim Arab civilisation is also fundamental to any workable peace in the context of the broad region where Sunni Muslim Arabs are hegemonic. In this view, Palestinians, whose political behaviour toward minorities has not been significantly different from that of their Sunni Muslim Arab colleagues, are a component of that broader civilisation that oppressed Jews when Jews lived among them and continues to seek to deny Jews self-determination after the Jews have rebuilt their lives in their nation-state. It may seem counter-intuitive to suggest that a renewed peace process can take place in the era of Prime Minister Benjamin Netanyahu‘s right-wing coalition, fanatical Hamas rule, and ineffective Palestinian Authority leadership. However, if Prof. Agha’s words show the potential to move our understandings of the conflict beyond both ‘the anti-colonialist paradigm,’ and the ‘classic Zionist paradigm,’ perhaps we can express a smidgen of optimism.